Day and Night – Pottery, paintings, photography, and more! What a difference a night makes. Gardens are for daytime field trips. The colors and light of flowers, sky, bark, and leaves are wondrous to behold. As night falls, all of that glows and fades leaving me in the dark–earlier and earlier in this season. But, there is magic in the nights right now at Longwood Gardens. 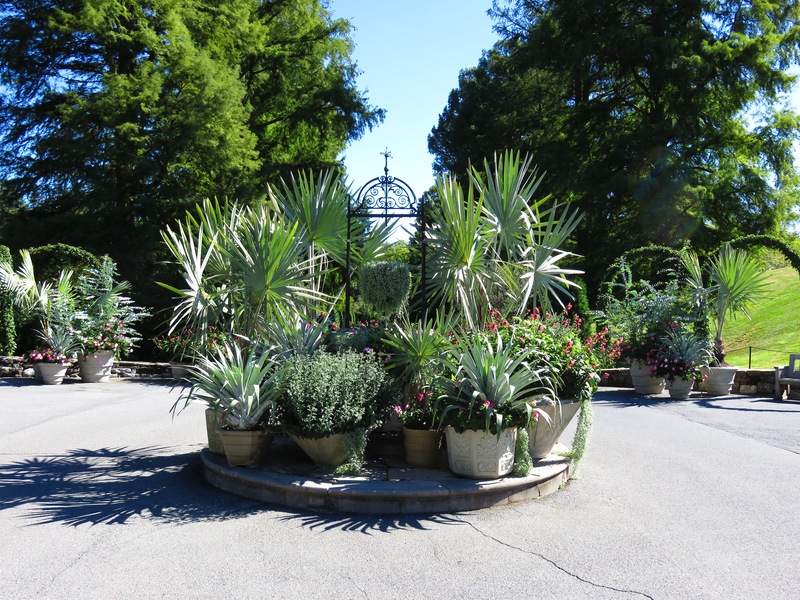 The gardens come alive in a completely new way–a way that is all but invisible in the bright blue of day. It was amazing to see the gardens by night light–especially after walking around the same spaces first in the day light. The nights are noticeably longer now as October rolls on toward winter. I often lament the shortening of days and inky mornings. Perhaps in this season I can turn back to bookmarked pages and passages and photographs to remind me of the need–and gifts–to be found in the very same space in both light and darkness.